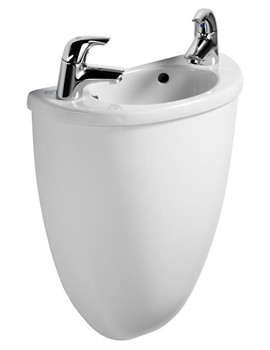 Bring in a completely new look to your bath area with this innovatively-designed Washbasin from Ideal Standard. 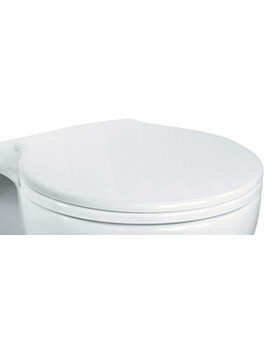 Made of Vitreous China, it is wall-mounted and comes with wall-hangers and two tap-holes. 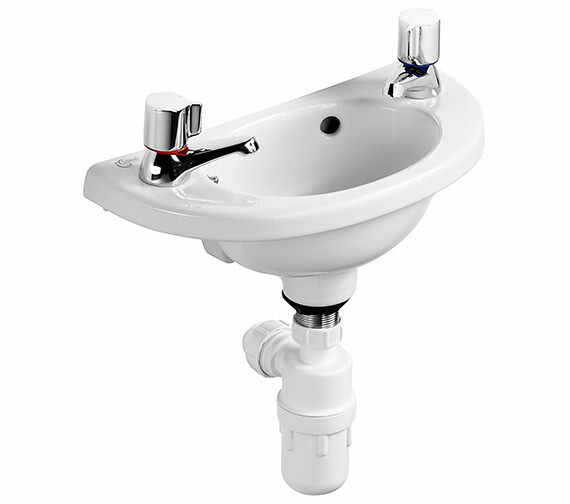 The 400mm wide basin projects minimally from the wall, thereby saving loads of space and is ideal for cloakrooms. Designed with your special needs in mind, it will offer you immense utility while making a style statement at the same time. 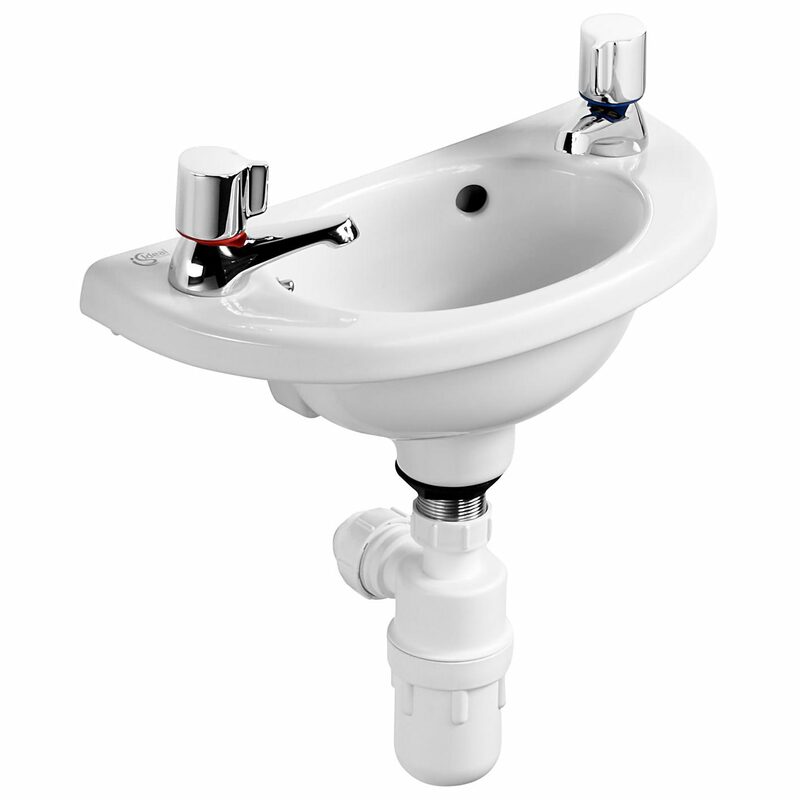 This easy to install and maintain model can be used with optionally available taps and waste. Available at a very special price at your preferred online web store, it is guaranteed for a lifetime, against any manufacturing defects. 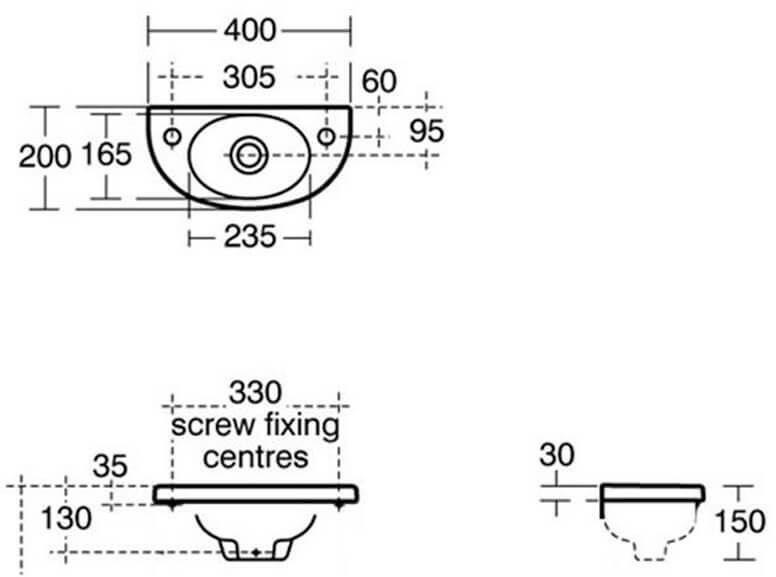 This basin shroud provide styling with its curved lines. Please note - image for illustration purpose only.